Over the past year, I’ve had a lot of practice packing and unpacking my bags travelling at home and overseas. I like to think I’m a laid back traveller and I try not to stress if there’s something I’ve forgotten. Let’s face it, most things can be bought at your destination or at the airport (usually for thrice the price!) However, experience has taught me that there are some things that I just can’t or rather won’t leave home without and here they all are in one tidy list! This is one travel essential I can’t forget! If I’m taking an extended trip, I have to plan ahead and fill another script. My thyroid medication needs to be kept chilled, so I’ve invested in a plane safe cool pack to ensure that my medicine arrives in peak condition. With a variety of sizes, packing cubes are a great way to organise my clothes into compact, tidy compartments. Most importantly, I can unpack and find what I want easily without having to tip out my whole suitcase! They come in a variety of sizes and can accommodate everything from jeans and dresses to undies and socks. These are a big investment, but if you’re a nervous flyer like me or if you just like your sleep, they’re worth it. Regular headphones insulate ears from external noise but noise cancelling headphones produce sound waves to cancel out the incoming noise, silencing everything from air conditioning to a plane engine. A good pair of headphones can be the difference between a good flight and a really great one. This is totally old school but a bar of laundry soap takes up almost no space, won’t leak and will keep me in clean smalls for most of my trip. I stash the soap in the shower and can wash myself and my undies at the same time! A lightweight, foldaway backpack is the carrier for all occasions. I pop it in my hand luggage and before I board the plane, transfer all my onboard essentials inside so that I don’t have to pop up like a jack in the box to the overhead locker during the flight. The backpack doubles as a daypack when I’m enjoying holiday adventures and when folded up can easily fit into the smallest of handbags. I’m “ever ready” with a bag which is especially handy when souvenir shopping! Travel adaptors are my go-to travel gadget. I tend to steer clear of the universal, multi-country adaptors because they’re big and bulky and take up too much room in the socket and in my case! If you’re travelling with a family or have a lot of gadgets consider taking a power board, that way you can use multiple devices on one travel adaptor. My phone gets a thorough workout when I’m travelling. I use it to surf the net, take photos and navigate and the battery takes a big hit. A powerbank is small and light enough to fit in to my pocket or handbag and I’m safe in the knowledge that I’ll never run out of juice. My travel journal is multi-purpose. It’s my travel planner, travel organiser and journal of adventures. I use it to plan a trip, to record transport and accommodation details and make a wish list of things to see, eat and do. When I’m travelling, I write notes about things I’ve seen and done and after my trip, I use it to collate photos and blog posts and relive the happy memories. Sometimes I splash out and purchase a designated Travel Journal but often, a neat little notebook will do. Last and definitely not least is travel insurance. It’s the one item I always purchase for every overseas trip and I simply won’t travel without it. Unfortunately both David and I have had to make a claim on our travel insurance policies either before departure or while overseas. Fortunately, we had good cover and although our trips may have been cancelled or compromised, at least we weren’t out of pocket. If you have any long term health conditions, be sure to read the T&Cs and check that you’re covered. Bupa provides travel insurance so you can enjoy your trip without a worry. What’s your top travel tip? 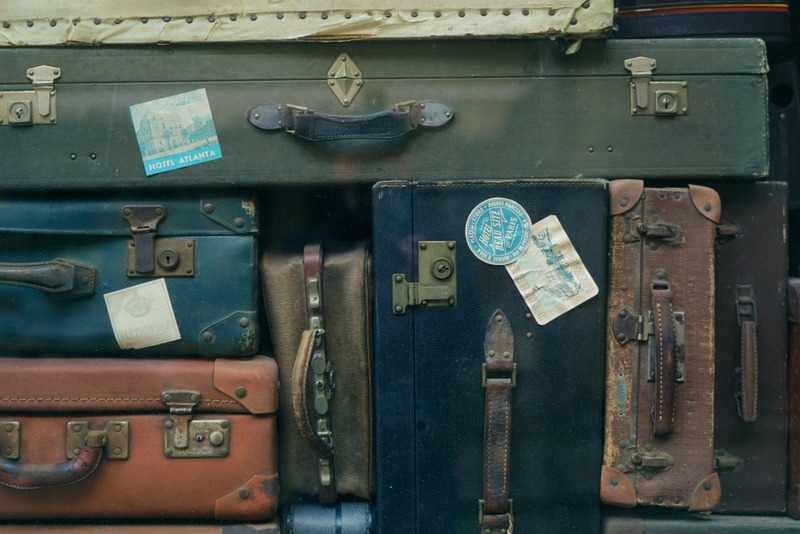 What are the things you can’t travel without?